The book of the hit tie-in podcast Made in Sweden. How does a child become a criminal? How does a father lose a son? An epic crime novel with the excitement of Jo Nesbo's Headhunters and the depth of We Need to Talk About Kevin, The Father is inspired by the extraordinary true story of three brothers who held Sweden to ransom, committing 10 audacious bank robberies over just two years. None had committed a crime before. All were under 22 years old. All of them would be changed forever. In this intoxicating, heartbreaking thriller, the fourth brother, who was not involved in the real robberies, tells of three boys who grew from innocent children to become public enemy number one - and of the man who made them that way. 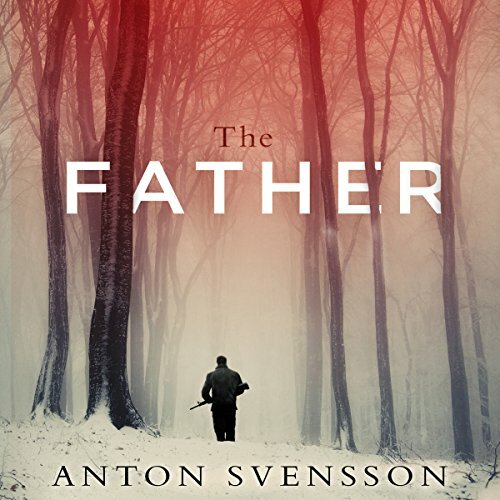 Would you consider the audio edition of The Father to be better than the print version? I haven't read the print version - that's what audiobooks are for! As soon as I saw an interview with the author I knew I had to listen to this book. Couldn't turn it off; it was utterly compelling and having subsequently researched how close to actual events this 'story' really is makes it all the more enthralling. Impossible to say. It was fascinating to see the character of Leo unravelling as he became almost addicted to his crime spree and lost all sense of family loyalty that had started it off in the beginning. Which character – as performed by Richard Coyle – was your favourite? Richard Coyle was a brilliant narrator. I thought the wide and varied use of regional accents to distinguish between the characters was excellent. It's shocking in the cool and meticulous planning that went into the crimes and yet the strength of the bond between the brothers is inspiring, forged as it was through shared torment. An addictive novel that stays with you long after you have listened to it.